Could there be a more difficult subject for an artist to address in 2019 than Donald Trump? When Anne Washburn started writing Shipwreck, her new play about the US president, she was well aware of the challenge she had set herself. “The wisdom about writing plays is you don’t write about the thing that is most electric to you in the moment. 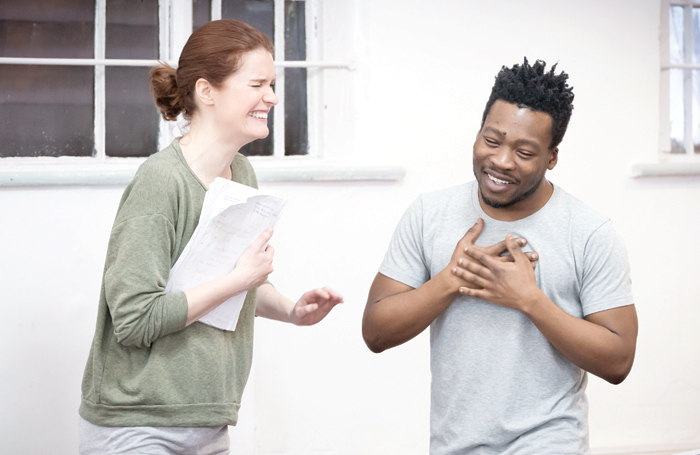 Like if you’ve just had a break-up, you don’t write a play about a break-up,” she says when we meet during a break in rehearsals at London’s Almeida Theatre. She adds that another issue is that “political theatre is hard to make”. However, if anyone is up to the task of tackling Trump in a way that transcends the 24-hour news cycle, it’s Washburn. The American playwright is a master of theatrical invention. Her last original work to be performed here was the post-apocalyptic fantasia Mr Burns. An extraordinary meditation on cultural myth-making tracing the afterlife of an episode of The Simpsons, it split the critics like few other productions in recent memory. The draft script of Shipwreck suggests that this latest piece is going to be no less remarkable. 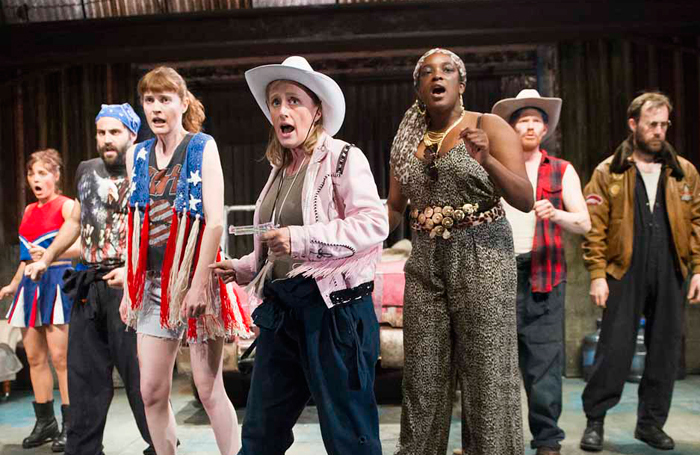 One curious thing is that such an ostensibly American play is having its world premiere in Britain, directed by Rupert Goold at the Almeida Theatre. That’s partly down to logistics, Washburn says. 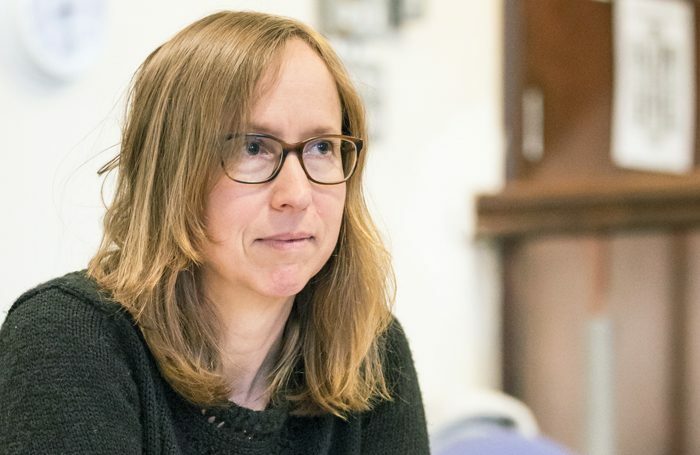 She finished Shipwreck in spring 2018 and knew that, because of its current-affairs slant, it would be advisable to get it on to the stage quickly. But that would have been difficult to do in the US, “because our seasons are planned much further in advance than your seasons and we don’t have as much funding as you do. A play with eight actors is something a theatre really needs to plan and budget for”. Working in a yogurt-and-chocolate shop, a couple of blocks down from where my folks lived. I was 15 or 16. I was the world’s worst stage manager on a production of The Comedy of Errors at Martha’s Vineyard. It was just terrible. It was on an outdoor stage and occasionally wild turkeys would charge across it in the middle of the performance. After Shipwreck and The Twilight Zone in the UK, probably doing Shipwreck in the States. Don’t worry about it. Just do it. Playwrights David Greenspan, Maria Irene Fornes, Caryl Churchill, Mac Wellman, Tony Kushner and John Guare. It’s been an amazing time in the States for playwriting over the last 20 years, so the colleagues that I’ve grown up with have been very inspiring. Don’t try to please the people in the room. I’d like to believe I would have become a forest ranger, but I don’t think I would have. Yes, all of them. I like to pile them on. I knock on wood, don’t say the name of ‘the Scottish play’ or whistle in the theatre. I love them. You need all the luck you can get. After Mr Burns, she was commissioned by the theatre to adapt cult, American sci-fi series The Twilight Zone for the stage. A sinister and stylish treatment, it opened in the building in December 2017, and is transferring to the West End later this month. Washburn describes her familiarity with the original TV programme as “ambient – you have just absorbed it and been traumatised by it. That’s what it is to be American”. Directed by Richard Jones, and intertwining the stories of eight different episodes, it is a venture into slightly more commercial territory for Washburn, though it has tonal similarities to Shipwreck. “Both of them feel like American nightmares, or America trying to sort out what it’s thinking about itself,” she says. There has always been a dizzying element to Washburn’s ideas since she was first inspired to write for the stage as an undergraduate at Portland’s Reed College while acting in a fellow student’s thesis play. It was a “revelation that someone I knew could write a thing”, she says – and she ended up simultaneously writing a “pastiche-y send up” of it for a separate piece of late-night cabaret theatre. After her first degree, Washburn remained around the north-west of America. She did temp work in Portland and Seattle for years to support herself as she pursued her artistic ambitions, before eventually heading to New York to do a master’s degree in dramatic writing. Her work is not only inventive, but often formally very daring, from her breakthrough piece The Internationalist at New York’s Vineyard Theatre in 2006 – for which she created a new language of sorts – to 2015’s 10 out of 12, set during the technical rehearsals of a fictional play, and Mr Burns, with its opera-inspired third act.